Book Review: "Now Face to Face"
Cindy and I had a marvelous time at Bead and Button. As I mentioned before, Cindy surprised me two days before I left by buying a ticket and joining me as my enabler partner in crime at the show. First I have to tell you -- Cindy made me make a video. I've said I don't like doing blog videos for a number of reasons but well, here you go. You don't know how much I don't want to post this but she thought it would be a good idea. I personally think it's a good example of how being nervous makes me look like a chubby wackadoodle spastic idiot, but well, please be kind. It was a lovely trip. Cindy and I met lots of wonderful people, including a friend I met online since my first beading days. I'm afraid of leaving someone out, so please know -- I loved meeting you all, and treasure the memories. One of many amazing beads on display in the lobby. Cindy pinning her city on the map. 1) There's never, ever enough time to look at everything. 2) You may THINK you've gone down that aisle before, but you'll see something new if you go down it again. 3) Don't let Lori have that second glass of wine. Just, don't. Unless you want to see some serious giggling and general ridiculousness happening. And now, what you've all been waiting for -- the Big Bead Giveaway! A ceramic pendant from Diane Hawkey, cultured pearls, rose quartz, onyx, goldstone, and darn-it-I-lost-the-tag (but it's a jasper and very cool). Vintage sequins and a very cool pack of vintage lucite charm drops. A Green Girl Studios pendant and some large Czech glass earring pairs. Two strands of Czech glass and some large frosted lucite beads. A Green Girl Studios bead and a mix of Czech glass Bead Soup. 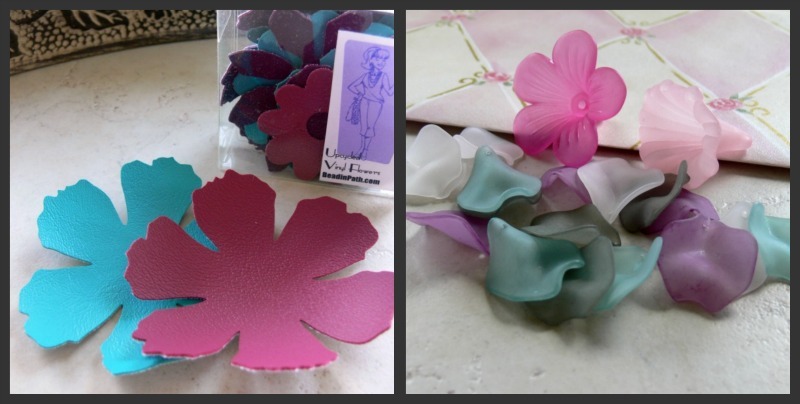 A Beadin' Path Vinyl Flower kit, fluffy lucite flower petals, and two large lucite flower pendants. A mix of fluffy lucite petals and leaves from The Beadin' Path and a bottle cap bead (drilled for a necklace) from Glass Garden. 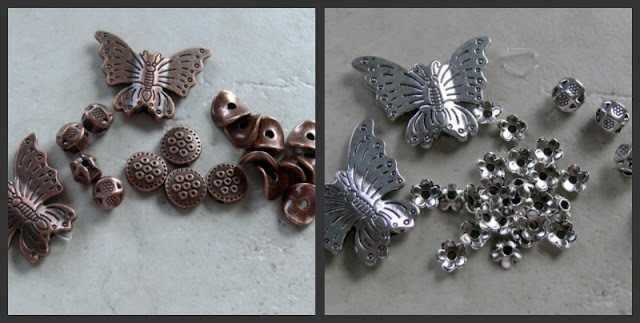 Copper-plated and regular pewter beads. Vintaj findings, including a pendant I made using their new embosser, and an awesome ImpressArt metal stamp holder by PJ Tool & Supply. So NINE people will win! But hey! It gets even better! Not only am *I* having a giveaway, but Cindy is having one, too! So after you leave your comments here, go to her blog by clicking here and comment some more! Leave me some way to get in touch with you if you don't have a blog! Drawing occurs Monday, June 20th! Wow, it really looks like so much fun! I *need* to persuade hubby that we need to visit around the time of the next one! I'd love a chance to win if this is open internationally? If not, best of luck to all you lucky entrants! Thanks for thinking of us and appearing in the video...even if it wasn't your idea! I loved the pics and your giveaway is awesome, just another way you are thinking of those who didnt' get to go this year. Oh how I would love to dig through all the goodies at B&B. I could do some serious damage there! Thanks for the chance to win your giveaway!!! I'm sure you guys had SOOOOO much fun! I'm so glad she went with you! Thanks for the chance to win! 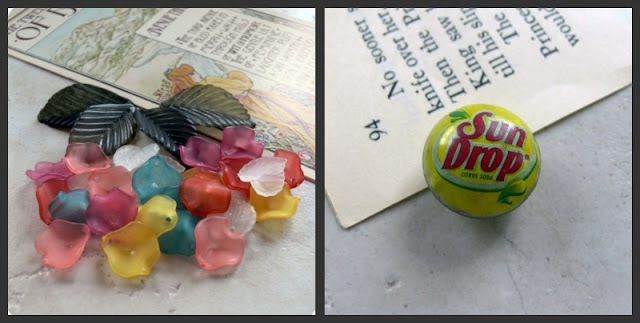 Oh love that soda pop bead! And the lucite flowers. Its probably a good thing I have never made the show- I would spend too much money. I am already looking at the AD website! Hope you are feeling better today - thanks for the opportunity to win- WHAT A STASH!! What fun, thanks for sharing it all with us. Someday, I plan to get to one of these shows so that I can meet you all. Thanks for the goody giveaway too! Loved hearing about the trip. Incredible giveaway. Hope I am the lucky girl. Looks like a SPECTACULAR trip, Lori -- and of that whole post, I think I enjoyed seeing your video most of all ... your enthusiasm for all things beading is simply infectious ... in fact, I was debating whether to try to make something tonight, but I think I've just found some new energy! It was a pleasure to meet you even for a moment in your bottle cap bead bliss. Wish I had gotten a few!! 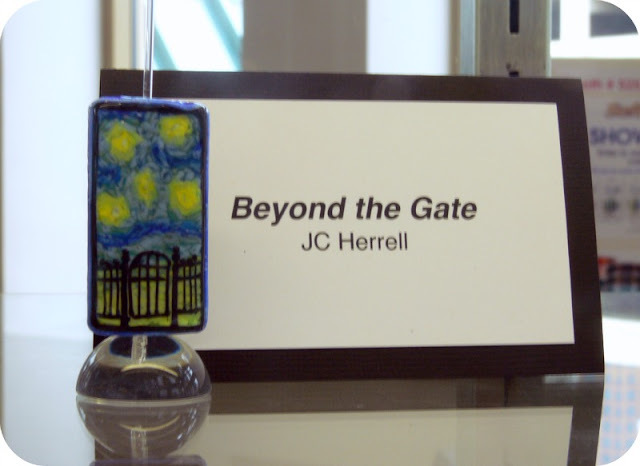 Next year I hope you can make it to the Art Bead Scene dinner- it was a lot of fun! Beautiful beads! That sounds like a really fun time. OMG! What an amazing giveaway. I was feeling a little overwhelmed just looking at a couple of pictures - I can't imagine being in those aisles. Wow! It's fun to see all of the different booths and goodies, I think this now has to go on the beading bucket list of things to do! Thanks for showing us around! Looks like an amazing trip! Some day! :) Thanks for the chance. about the giveaway here and at Cindy's site. I'd love to win! glad you had fun! Ok, I'm sorry you don't like doing a video, but I love getting to hear your voice finally! It made me feel just a bit like I was there too, so now I'm going over to Cindy and thank her for bullying you! And thank you so much for the giveaway!! I miss the show already. Wish shopping could last longer! Will be fun to see what you make with your stash. wow! I wish I could have gone that damage I would have done on my credit cards!! I would love to win any of these fabulous items. Thanks so much for bringing us along and sharing these awesome goodies with us!!! What an awesome giveaway!! I love how you are choosing nine winners and not one. I am always happy so see the loot distributed to many winners and not just one. Thanks for the video, It was great to see you and part of the show!! Now I will go blog about it! Wow, Lori! You guys look like you had a ball at B&B! It's so great that you both were able to go together! Thanks for such an awesome giveaway! This will go on my facebook page and BTW blog post! I hope your feeling better! I blogged about the giveaway too. OOOH, lots of great stuff! Hope I win! Awesome.....some day I will get to go...I want to soooo bad! Cool treasures you are sharing...just so cool!! I'm going to enter since I didn't get to go this year. Glad you had a great time! Wow, That is alot of loot. You did a fantastic job on the vlog. Looks like you had a lot of fun. 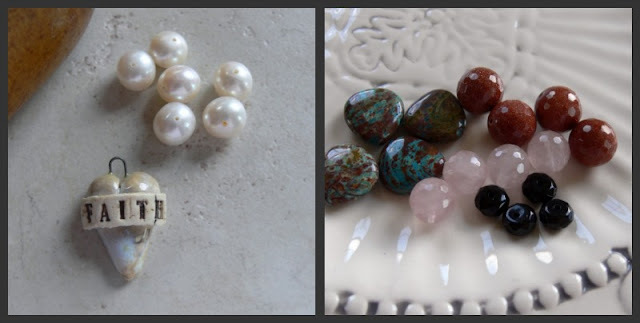 So many lovely beads & goodies for your giveaway! Sounds like an amazing time, too!! Thanks for sharing!! Awesome blog and I wished I were there, too. Thank you for sharing and the opportunity to win such goodies! OK, I LOVE the fact that your shirt matches your hair in the video!! wtg! Awesome Giveaway! That's what is so great about going to swaps and shows with someone. Looking at things through their eyes...something I might of passed up. Plus if they are a treasure hunter that is always a plus. I don't dig much...but I have a friend that is quite the digger and she is rewarded for her efforts. And sometimes I get some of the benefits too. Glad to hear you were out and about! Thanks for the visits and leaving a comments. I really appreciate it! Great eye candy!! Thanks for the post and the giveaway. I'm following you now. Gorgeous! Thank you for the chance! I love the video - its fun to hear your voice after reading so many of your words! Looks like a beadin' good time with friends! Wow! Bead&Button looks like a lot of fun. Maybe I can go next year. Great video. It certainly looks like you had a great time - and bought lots of goodies. Thanks for being so generous with your give away. I'll blog about it on my blog. I know what you mean by seeing something new the 2nd time down an aisle, maybe even a third! Got called to do out-of-town trainings this week for my part-time job. My guilty pleasure is reading all the blogs esp. this week about the fun at B&B. So thanks for sharing and love the video. Just posted about the giveaway! Wow, wow, wow!!! should I say it again! I'm so glad you and Cindy had a great time, and jealous! Love the post and thank you for offering all the great finds for giveaway!! I.want.all.of.them!!! What a great giveaway! Hopefully, someday I'll get to go too! It's on the bucket list. Well I loved the video :) so much more personable! Looks like you both had loads of fun! I'm hoping to make the trip next year! Hubby did ask me earlier this week when the show was, so I think I might have done enough talking to get him to take me! OH my gosh, just too much fun !! I will have to plan a trip to that big event even if it is far away from Texas !! I am excited about the giveaway and really excited about the vintage sequins. I just posted in my word press blog about my addiction to sequins, I love them !! I am glad you had so much fun and can't wait to watch the video !! Please do more- you have a unique voice and a personality that shines through. And, I would gladly accept any of your treasures! Wow love your loot! I hope your migrain is going away. I enjoyed reading and viewing about your trip to the Bead & Button Show. Looks like you had some amazing finds and a great time. I'm so jealous and am hoping to attennd B&B next year. Thanx so much for this great chance to experience the show. Greta job on the video Lori! I am happy to hear you had a blast at B&B. Hopefully next year we will be able to catch each other in the aisle. I may have even been right next to you and not even know cause I was blinded by all the BEADS!!! This is amazing! And they're all so pretty! You got a lot of great things there, and that's so generous of you to share your pictures, your memories, and (of course) your beads! 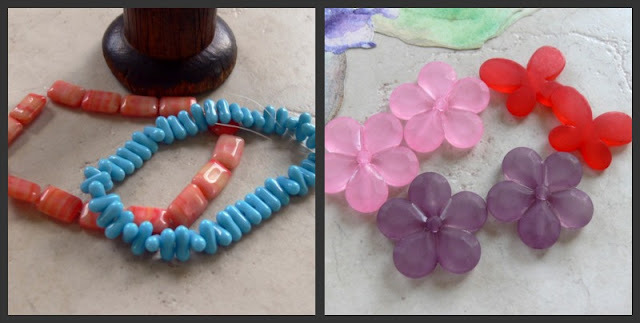 I'd love to go to a Bead & Button show someday. So many wondrous sights! Thank you so much for sharing your video! I did piano recitals for many years (until my teacher suggested it was too stressful) and can relate to the anxiety. It's great to see your personality! how great you had a good friend to shop with and play beads, too! i am sooooo drooling right now.....if i went to the B&B show, i'd probably come back minus a kidney, cuz i'd have to sell one to buy more beads!! Wow, this makes me really wish I could have made it -- but alas and alack, the student budget just doesn't allow it! Thanks for giving us a taste of what sounds like an amazing experience! You always have the greatest time at the bead shows! You chose some beautiful beads for the giveaway...pick me! Looks like you had a great time. I can't imagine how one approaches a fare this size, where to begin? But most importantly how to stop buying beads!!! Impossible. Fantastic giveaway Lori! I loved the vidio clip, I can understand why you don't like doing them but it was really nice to watch and your hair looks even more fab in the clip! It looks like you guys had an awesome time!! And thanks so much for the video, having never been to the show it was really fun to see all the excitement bubbling up in you two! Thanks so much for the give-away! Lori, you're adorable and so real and true to yourself. You and Cindy did a great job together. B&B looks exhausting and so much fun. I doubt I'll ever have an opportunity to go so I appreciate you posting about it. The bead give away is..so....huge and exciting. I posted on Facebook too. Thank you and good luck to all. Only 20 comments for such an awesome giveaway??? I have close to 300 posts in my RSS feed, and I know this is one, but I followed a link from Lois Moon's Que Onda Q'town blog just so I wouldn't miss this. Looks like you and Cindy had a great time. OMG! Lori! I love the video. It made me feel as though I was there with you and Cindy! Next year for sure! I'm off to blog about your giveaway! One day I hope to make it there! What a friend Cindy is....what fun you must have had! Sharing your giveaway on my blog! looks like you had a fun time at the show..so many cool beads. Great job with the video! It looks like you guys had a wonderful time and met some great people. AWESOME awesome giveaway! 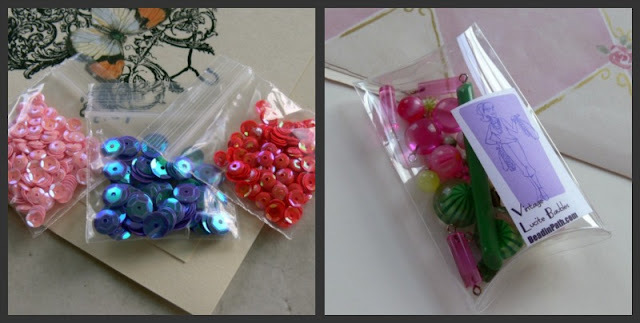 And thanks for sharing Bead and Button with us! How wonderful to share Bead and Button with Cindy! That would be FUN! The beads you brought back are awesome and hope I win some! I posted the link to my blog! Hi Lori, wow what a wonderful stash, i have always loved those bottle caps infact i have some in my cart over at Glass Garden count me in thanks for sharing our amazing finds and i really enjoyed the video of you and you partner in "funtastic finds" it was cool to hear your voices!! Going to Bead & Button is definitely on my bucket list!!! Thanks for such a great giveaway! Wow sounds very cool! I would love to go to a bead show, maybe if I get a chance I'll go the Philly one. Thank you for the giveaway its very sweet of you guys :). Yep this is an awesome giveaway and I so wish I could have been with you for the bead buying bliss you enjoyed! I will blog about it! I think your video was personable and I love your hair. I was glad to share in your finds even if it was by blog, hopefully I'll be able to share your finds by winning some of them. Thanks for the opportunity. Lori, that´s amazing! I wish I was there to pin my city on that map, but thank you for bringing us a little bit of the show. That video was a great idea. I will be posting about this giveaway and Cindy's on my blog. So please, count me in twice! So much fund to read your blog! Thanks for sharing your pictures and thoughts. How cool was your trip! Looks like you girls had a great time. I so hope to go to B & B one day when I become independently wealthy, lol. Well Lori, no woman ever has enough beads, (or enough Tupperware), so I really, really hope I win! Thanks for your giveaway and all the other great stuff you do. Your energy is amazing. The video turned out great -- loved seeing you in action! Fabulous giveaway! Love the copper stuff. I'm loving hearing all these stories from Bead and Button, sounds amazing! Glad the headache is better. The video was great - you did wonderful. The show looked and souned awesome and a bit mindboggling. You and Cindi seem to be having so much fun. Maybe next year... Fabulous give away - thank you for sharing. Looks like you had an amazing time! I am so saving my pennies to go next year. Would love to have some of your stash! I'm going to go tweet this right now! wow! thanks for this lovely giveaway! Oh Lori, you look like you had so much fun...I find myself a bit jealous! Lol...Wish I could have been there! Would absolutely love to win this...Good luck to all entrants! And, by the way, I loved your video blog!!! Looks like you had an amazing time. Don't know if you would ship to Canada, but worth a shot! I have rekindled my beading passion and am new to reading blogs, hope to creat my own someday when I feel like I have more to share. Wow, I am so jealous of you, sounds like you had an awesome time. Would love, love, love to win. 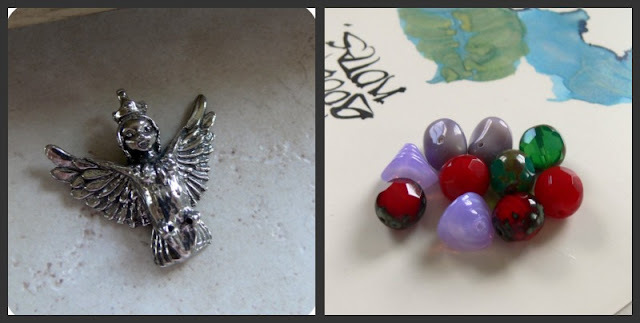 A wonderful post Lori, and such a generous giveaway, and i really liked the video, i sooo wish there was something as awesome as the Bead and Button show in the UK. Hopefully i'll get to go one of these years. A Slice of heaven!! I can only Imagine the great time yall had! A wonderful Give away Lori! I have just Blogged about this too! ox! Lori...looks as though you and Cindy had a fabulous time together and brought some great new finds home. Love your hair girl! What a great video! So nice to "hear" your voice. It's lovely to listen to, Lori. Glad you had a great time. I really hope to make it to B&B next year. Off to post a link. You have such good taste! I love everything you selected! Thanks. Wow! This is great for those of us that can't get to these big shows! Between both blogs we all felt like we were there. Thanks for sharing. Sounds like you had a lot of fun. I would love to see the stash that you brought home for your own personal use. Oh and please enter me in the drawing. Ooh, ooh, ooh! I absolutely love those vinyl flowers from Beadin' Path. Looks like you girls had a ton of fun. Will also blog about this! Looks like you both had an absolutely great time. And so many treats. I'd love a chance to win one of these sets. First, you look great -- quit putting yourself down! You are adorable and your hair is too cute! Second: thank you so much for having this giveaway. I'm so hoping to win! That would be awesome! Glad you had fun and got home safely! I really enjoyed the video. It's as close as I can get to actually being there. So thank you for sharing it. And you did NOT look like a "chubby wackadoodle spastic idiot". You were just charming. 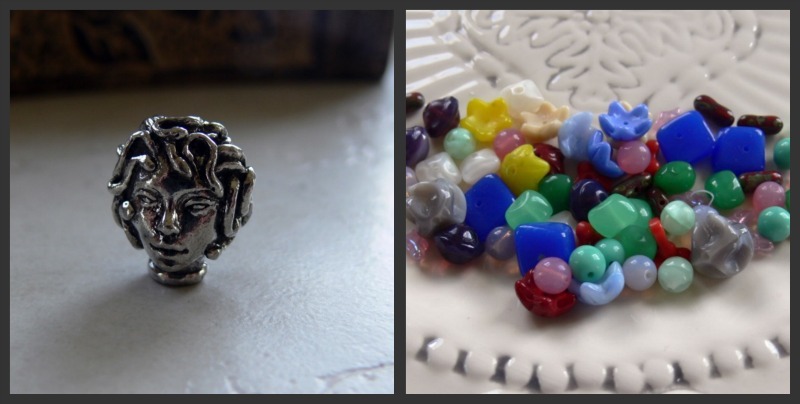 I love the Starry Starry Night bead - one of my favorite songs and favorite Van Gogh paintings. Wish I could have been there! Looks like you had fun! Thanks for you and Cindy sharing your grand time together!! Looks like a great time!! Looks like you and Cindy had a wonderful time shopping! The video was great! Thanks for sharing a little of your excitement from B&B. I'm really jealous! I do hope to get there next year. I love all the giveaway goodies and thank you for being so generous. I am blogging about your giveaway! OK YOU need to be my personal shopper! I'd love any of those. I wish i'd gotten a chance to say HI! I am so jealous that you got to go! Oh, well, maybe next year. I love all of the pictures of the goodies from the show. I would be tempted to take my whole life savings and spend every bit at a show like this. What a beautiful selection of treat - my fingers are crossed! Love the blog looks like you and Cindy had a great time and got lots of goodies.The map was very impressive and awe inspiring. I really love the lucite flowers and flower petals. And the vedio well it was over the top. I hope you are feeling better today. I thought I had commented but it hasn't shown up. Loved the vedio. I am so pleased that You and Cindy had such a great time. I wanting the lucite flowers or flower petals. I hope you are feeling better today. I am jealous,jealous, jealous that you got to go, and am gonna post on my blog. oh boy count me in! What a great stash of goodness! WOW.. what a generous giveaway! I hope I will someday get to attend a Bead and Button show. It looks like you two had great fun. I don't think you looked nervous at all on the video. Awesome giveaway--you are so generous. Thanks for doing it. So glad you had a great time; you picked up some serious beauties! !Someday I'll make it to another bead show, but I know I'd better bring lots of cash... Thanks for hosting the giveaway; count me in! I so wish I could have made it to Bead & Button this year, but I won't be in Chicago until August and will at least be able to attend Intergem. Sounds like you had a great time. Maybe next time? I so wish I could have gone to Bead & Button this year. I'll be in Chicago in August and at least will be able to go to Intergem. Maybe I will make it to B & B another time - looks and sounds like you had a great time! Awesome stuff, would love to win! Thanks! Wow! You did good Lori. It is so neat that Cindy was able to go last minute. So much more fun to get into trouble with a buddy! This is a neat giveaway with so many chances to win. Thanks for sharing you stash. Bead and Button is a dream for me. some serious damage there that would be me too. Oh, I am so jealous of all the fun you guys had! Please enter me in the giveaway. Wow, looks like you had a fun time and thanks for sharing that fun by hosting this giveaway. Oh yes, yes, yes, please enter me for those gorgeous beads!!!! Amazing bead giveaway!! I found out about it from Melinda Orr. Thanks! I'm glad you both had such a wonderful time! 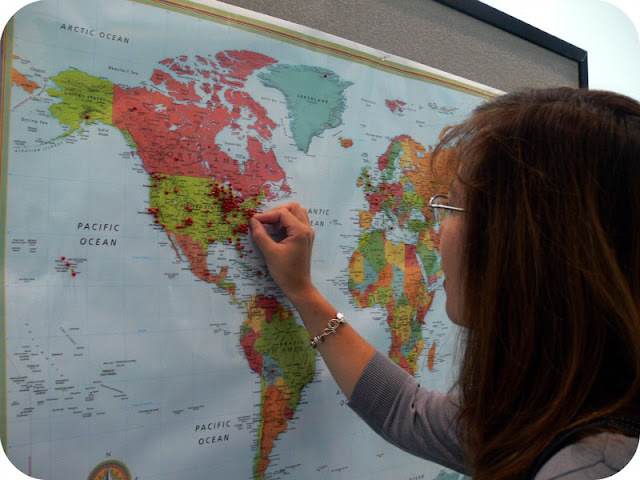 Glad too that there were some UK pins on that world map - I will get there myself eventually! What a lovely bunch of loot! Thanks for the chance to win. Count me in for the giveaway pllleeeessseee!!!! What an amazing giveaway! I want to go to a bead show but haven't had one nearby at the right time yet. Do enter me for the giveaway please. SO amazing. I would love to have gone and been surrounded by all that! I would love to be entered and be able to play with those wonderful things! Whoa, I'm late to the party! How on earth did I miss this blog post of yours? I'm an international follower and am seriously envious of you and everyone else who went to the B&B Show. But I'm very very appreciative of how very thoughtful and generous you're being - thinking of us readers and giving us a chance to win all those bead lovelies. Good luck to everyone! Just blogged about your amazing giveaway. Still drooling over the beads :-). What awesome beads!! And enough for 9 winners - you are so generous Lori! Thanks for the doing the little video too. (my favorite part of this post and the next best thing to meeting you in person! :-) I so have to try to be there next time! 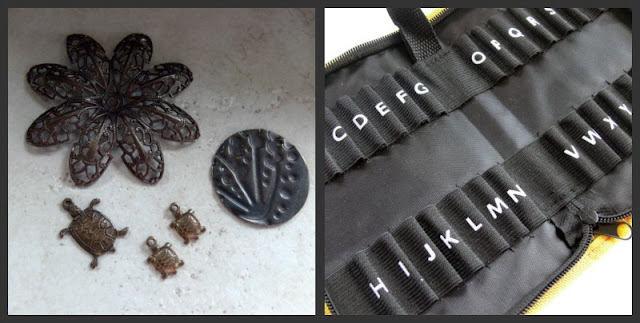 Hi Lori, blogged your giveaway!! Sounds like a lot of fun at the show. 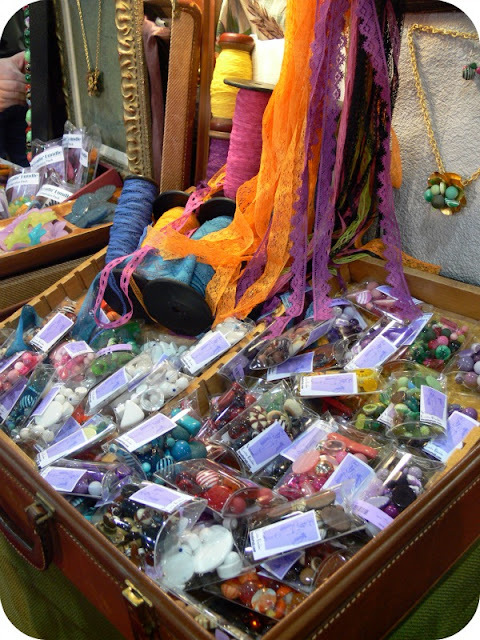 I really liked the photo of Beadin Paths booth. Oh, what a great giveaway! So very generous of you! I love coming to your blog, it is always so inspiring. Thank you! Lori, your generosity is unmatched! Wow! Really!!! You're giving away all those gorgeous beads! Looks like you and Cindy had a fantastic beading adventure, loved the video. Awesome! Put my name in the hat! Wow, fab giveaway. That show must be just amazing! You ladies definitely had a great time! I enjoyed reading about the show on both your blogs! And I also felt a little (weeellllll, a lot) pang of envy and sadness for not being able to attend to this kind of shows! Your sharing the wealth makes up for that a million times! Wow - the giveaway is just amazing! I'd like to have the chance to win it - or is it just for other blogger? I just love to read blogs ;). Thanks you for sharing your trip. That is the only way I get to see the B&B Show. Thank you for allowing me to visit the show through your blog. You may not realize how much that helps some of us who just can't get there. Sounds like you had a wonderful time! Thank you for the awesome giveaway! You're always such a generous person. Such lovely things! Wish I could attend a bead show like B&B some day. Oh I would love to win any of these. You always have the best giveaways! Love all your goodies. I would love to enter a chance to win. Fantastic pictures and giveaway! I appreciate the opportunity to win. Sounds like you guys had a great time! Thanks for being so generous with the giveaways! Count me in! I'll blog also and add a second post with the link. Here is the link to my blog post about the giveaway. Thanks again! Love your pictures, it is a dream of mine to attend some of the big shows in the future. Great giveaway. I am glad all had such a great time at the show!! And what a wonderful give away!! Wow - looked like you guys had a blast and I LOVED the video! I also like the map of where everyone came from. I can't wait to go next year with mom. Awesome goodies for the giveaway. Wow I'm glad you had fun. And you are very kind to host this contest. Thank you! I thought the video was cool. What great treasure! Also I would like to be entered in the blog give away and if I get my blog up and running before the final date I will certainly blog about it. Ok, I wanna win the lot! There is so much awesomeness at Bead and Button. I went several years ago...don't think I slept much for the 4 days I was there. Looks and sounds like it's even bigger and better this year. Your giveaway is a lovely slice of awesomeness, too. Thanks for sharing your view of the world with us. Your blog is always an interesting, enjoyable read.